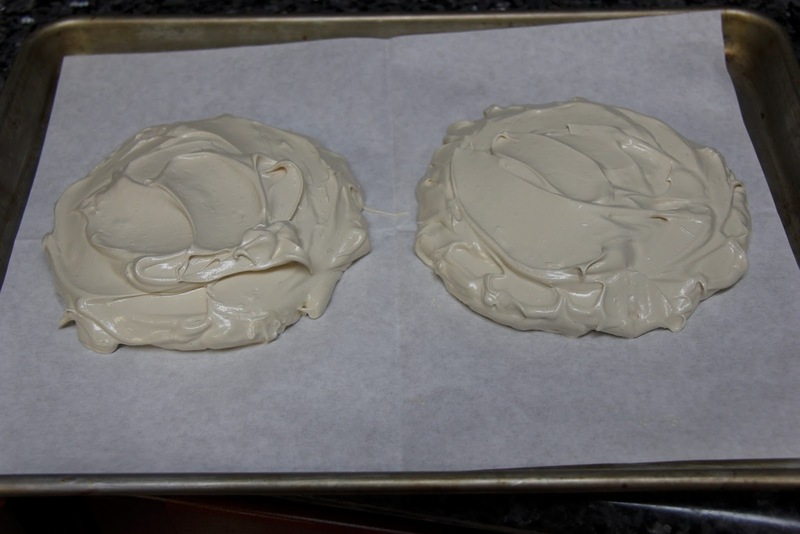 I have been baking a lot of cakes for my friends lately and I wanted to bake something different this time for mom.For one of my previous cakes I liked the meringue I made for a swiss buttercream and wanted to incorporate meringues into this trial.Nothing better than pavlova to suit the need. 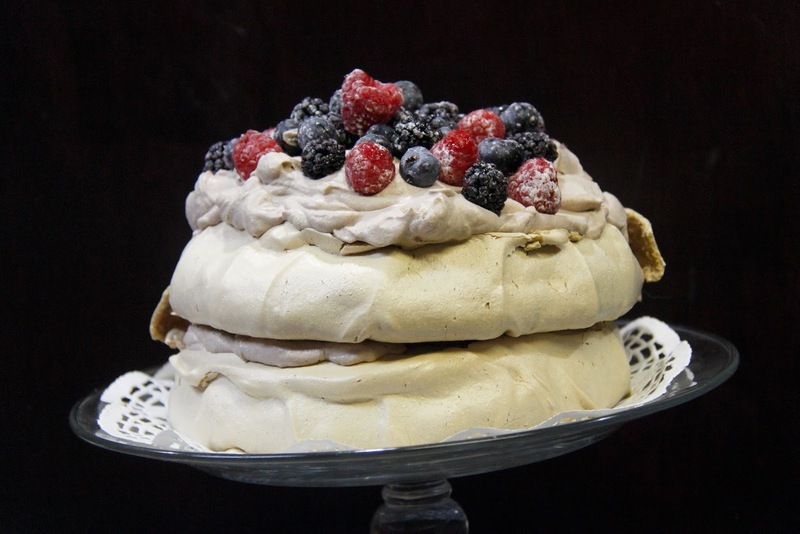 Pavlova is a meringue based dessert layered with fresh whipped cream and fruit. I made a coffee flavored pavlova with a chocolate whipped cream and fresh macerated berries.It was gone in a jiffy. 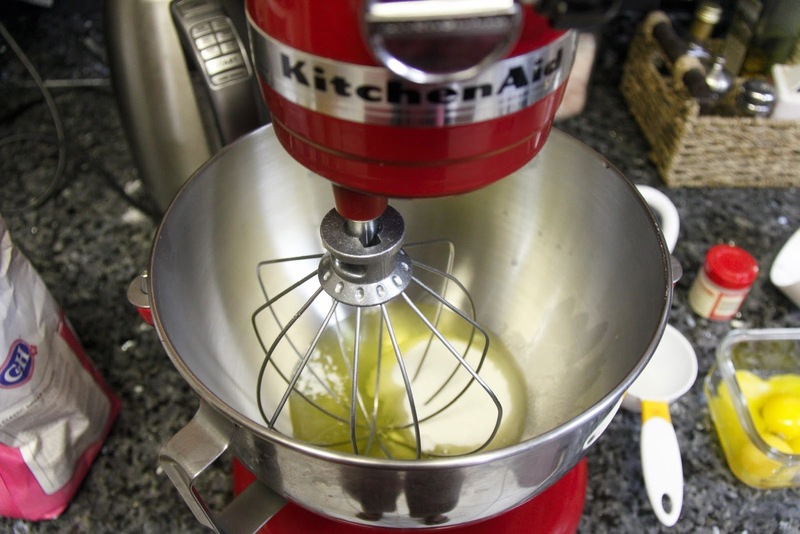 1.Take the egg whites, granulated sugar, cream of tartar and salt in a bowl and whip them till the whites form medium peaks. 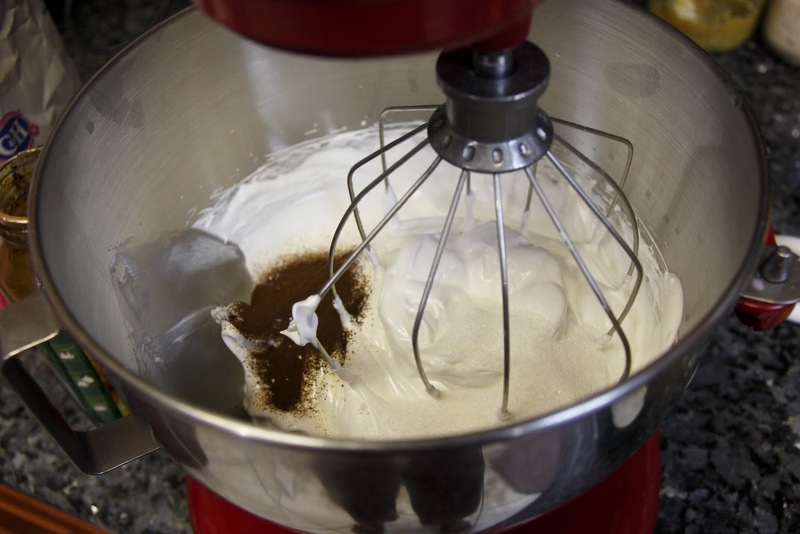 2.Add the coffee power and whisk till the mixture forms stiff peaks. 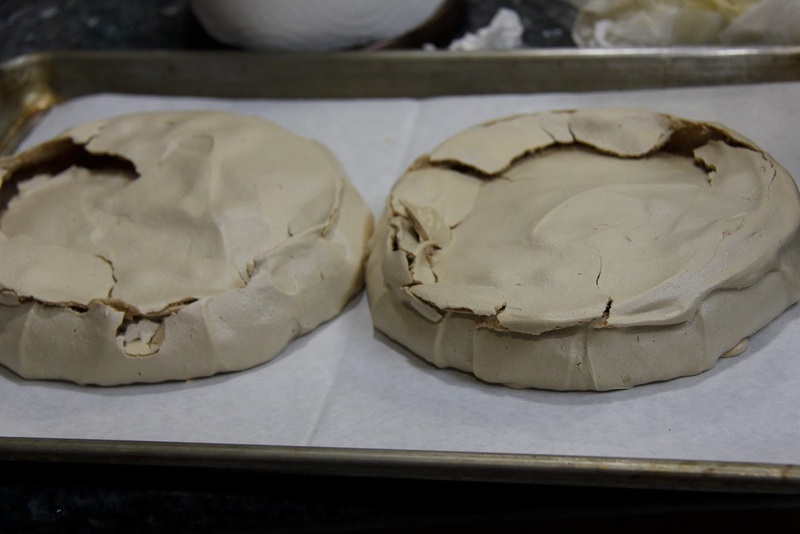 3.On a parchment paper, draw 2 6 inch circles, turn the parchment over and transfer the mixture to 2 6 inch circles within the circles drawn previously. 4.Preheat oven to 300F.With the help of a spatula, even the mixture out from all sides, so that it is evenly thick and flat on top.Transfer to oven and bake for about 45-50 minutes until the outer layer forms a crust.Turn off the oven and let it cool in the oven for 1 hour. 5.Before taking the pavlova out, whip the cream with powdered sugar and salt and cocoa powder till stiff peaks form.Toss the berries in a teaspoon of powdered sugar. 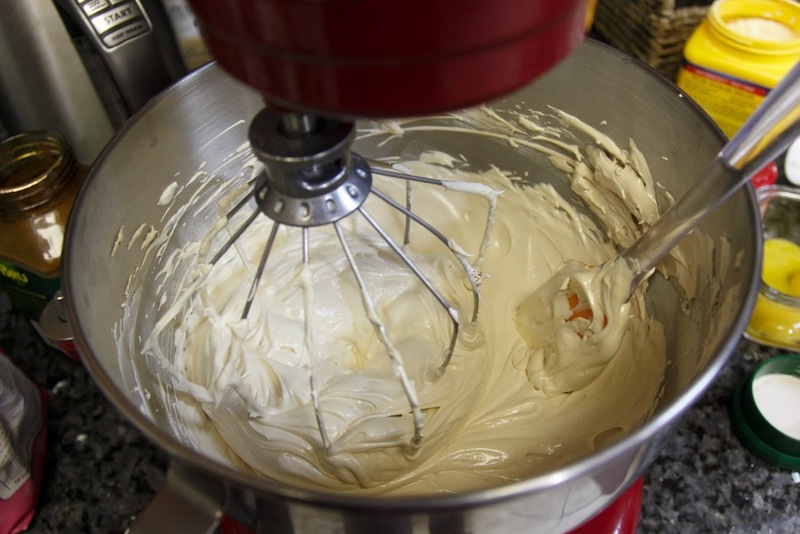 6.Place on disc of pavlova on a cake stand.Smear half the whipped cream on top.Then place the next layer and transfer the remaining cream on top.Top with the berries.serve immediately. 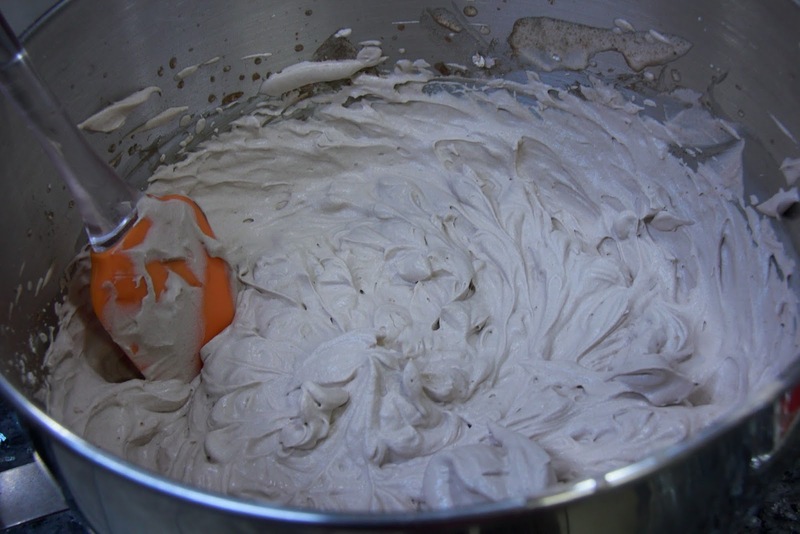 Put the cream only after you are ready to serve or the meringues will lose their crunch. 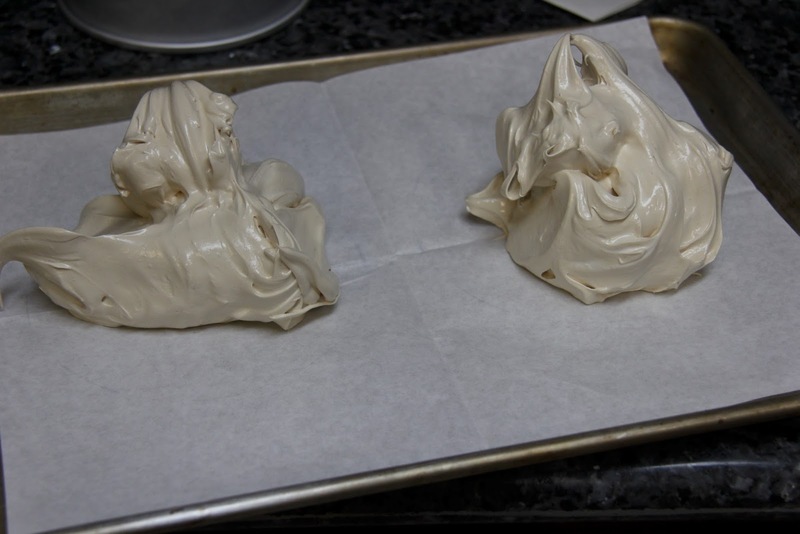 If not serving immediately, store the meringues in an airtight container till ready to use.